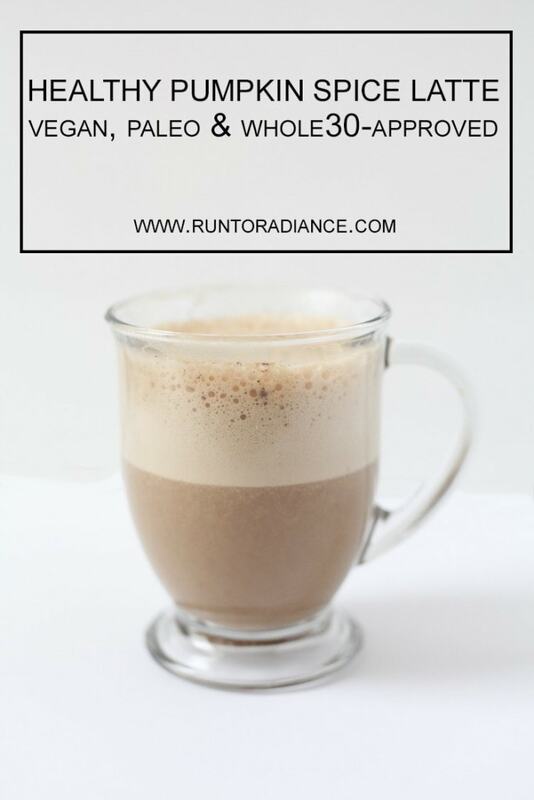 Healthy Pumpkin Spice Latte recipe - Whole30, Vegan & Paleo-approved! For weeks I’ve been listening to people talk and debate about pumpkin spice lattes. Some people think they came out to early, others want them around year round. Me? I was just annoyed I couldn’t have one! Scott and I have been doing the Whole30 (today marks day 29!) so dairy and sugar was a definite no. 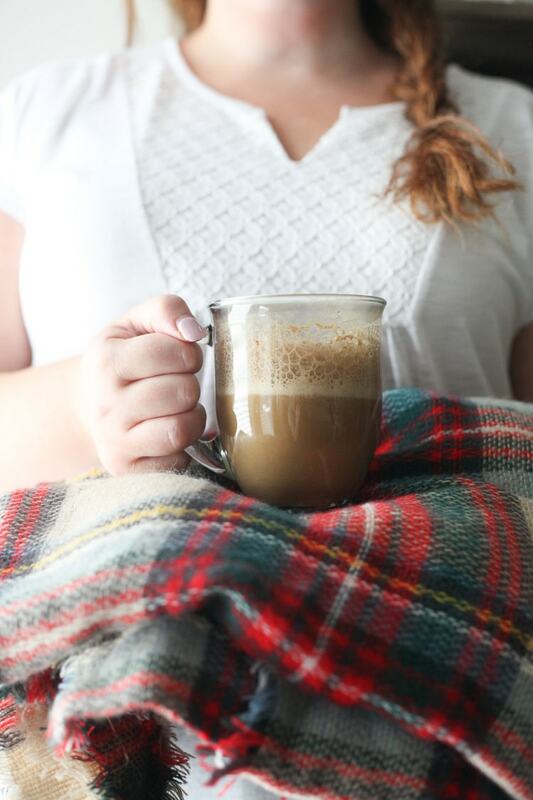 So, we decided to make our own version— a healthy pumpkin spice latte recipe! 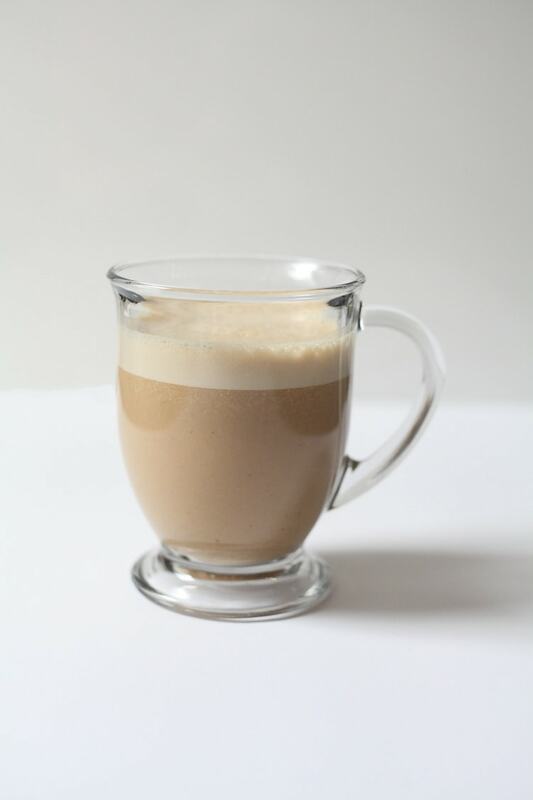 This latte is dairy free, vegan, paleo and has Whole30-approved ingredients. For those of you following Whole30, be warned that this could fall in the SWYPO category. Personally, after 3+ weeks of no coffee (black coffee is not bae, nope) this was a really nice weekend treat—I split one with Scott and was more than satisfied. 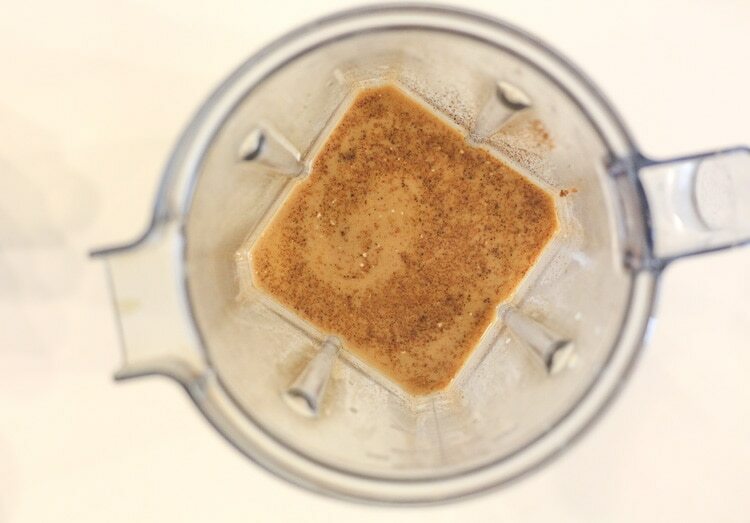 Place all ingredients in a blender and blend for about 10 seconds. Pour and enjoy! This looks so delicious! I will totally have to try it out. I did Whole 30 last January and really got good results. I plan to do another round or three after baby comes! How did you like it? Today is my day 30 and I love it! I’ll get to weigh in tomorrow finallyyyyyy!!!!!! I plan on writing a post about my results soon! Pinning … this sounds delicious! This looks smooth and delicious. Trying it for sure. Sounds so delish! I’m going to pin to try later. Thanks for sharing your recipe with us at Funtastic Friday. Looks delicious going to give it a try. Fingers crossed mine looks as good as yours. Great recipe! Easy and yummy! What a treat!